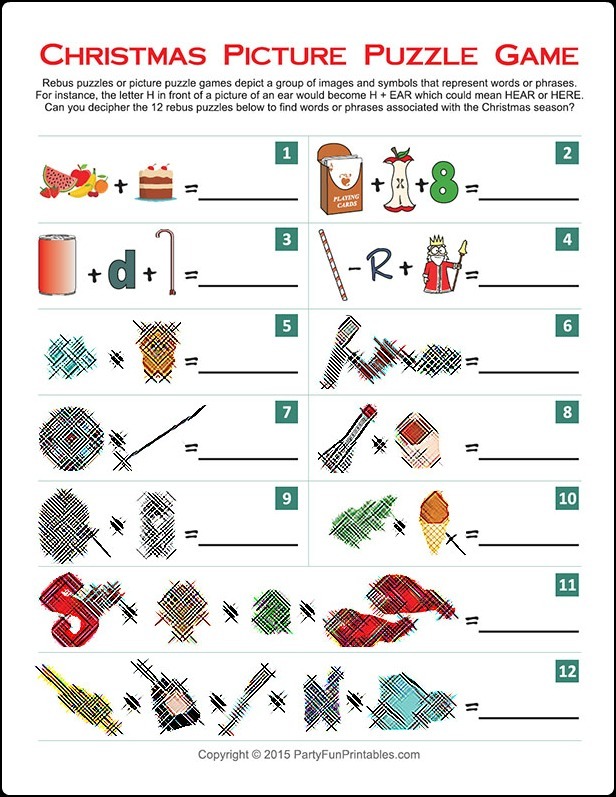 Holiday Party Game | Ready for Christmas? "Are you ready for Christmas?" 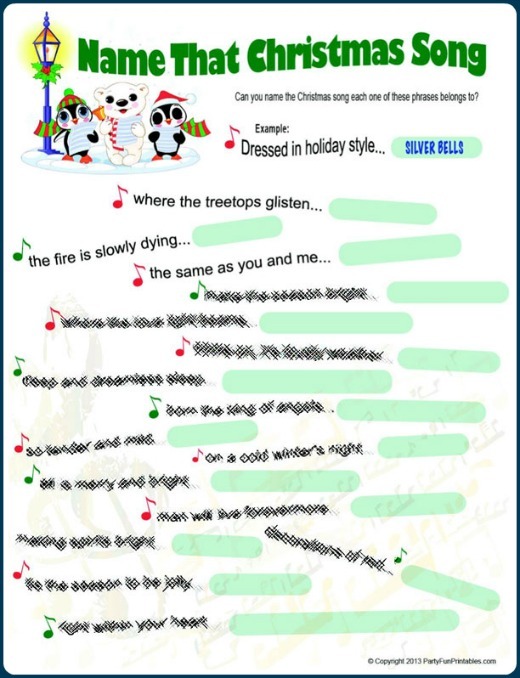 is a holiday party game that was created as an icebreaker for a Ladies' Christmas Breakfast. It went over really well. The table that accumulated the most points got to be first to get their food from the buffet. Each table was a team and they kept a tally of their points as the list was read aloud. 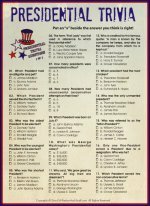 You could also print a copy of the list for each person or team instead of reading the list and give a prize to most prepared or a lump of coal or such to the least prepared. This game would also be perfect for a Christmas office party, company Christmas party, corporate Christmas party, family Christmas party... well, you get the picture. Give yourself 1 point if you've put up your Christmas tree, and an extra point if it is real. 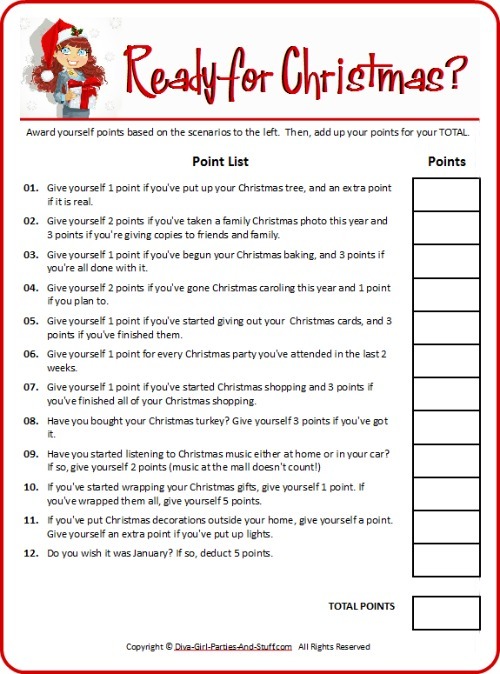 Give yourself 2 points if you've taken a family Christmas photo this year and 3 points if you're giving copies to friends and family. Give yourself 1 point if you've begun your Christmas baking, and 3 points if you're all done it. 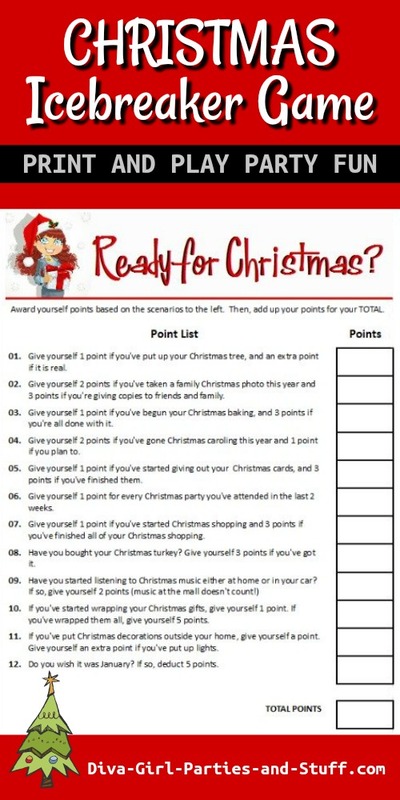 Give yourself 2 points if you've gone Christmas caroling this year and 1 point if you plan to. Give yourself 1 point if you've started your Christmas cards, and 3 points if you've finished them. Give yourself 1 point for every Christmas party you've attended in the last 2 weeks. Give yourself 1 point if you've started Christmas shopping and 3 points if you've finished all of your Christmas shopping. Have you bought your Christmas turkey? Give yourself 3 points if you've got it. If you've started wrapping your Christmas gifts, give yourself 1 point If you've wrapped them all, give yourself 5 points. If you've put Christmas decorations outside your home, give yourself a point. 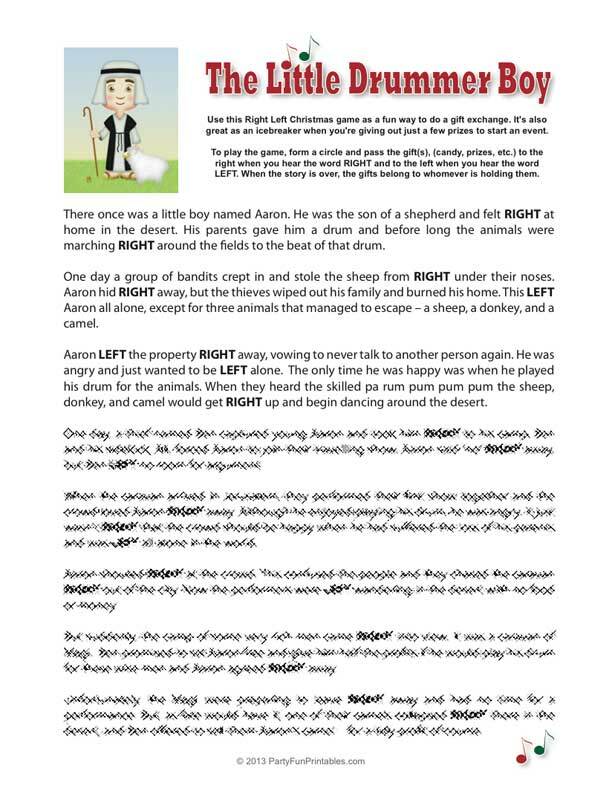 Give yourself an extra point if you've put up lights. How many of you wish it was January? If so, deduct 5 points.